Wye Valley Produce is grown by fourth-generation farmers, the Chinn family, in the Wye Valley, near Ross-on-Wye in Herefordshire. 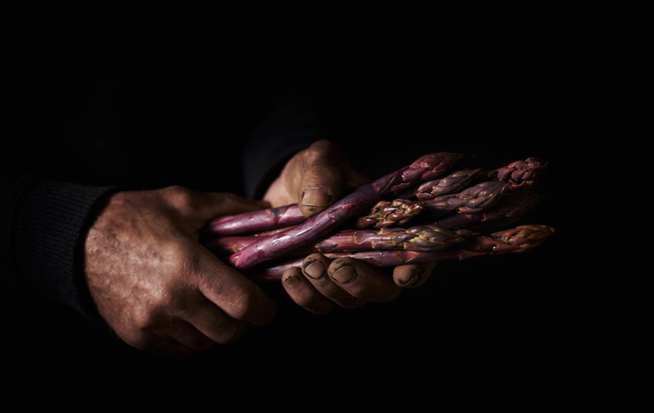 We planted our first Asparagus crop in the Spring of 2003, and the Wye Valley brand has since expanded to include rhubarb, blueberries and green beans. The light, sandy soil and south-facing slopes of the meandering Wye Valley capture the earliest spring sunlight, and create a microclimate that is perfectly formed to produce some of the earliest, and the best, produce in the UK. It is our attention to freshness and quality, as well as the natural advantage of our location, which makes Wye Valley Produce stand out from the rest. 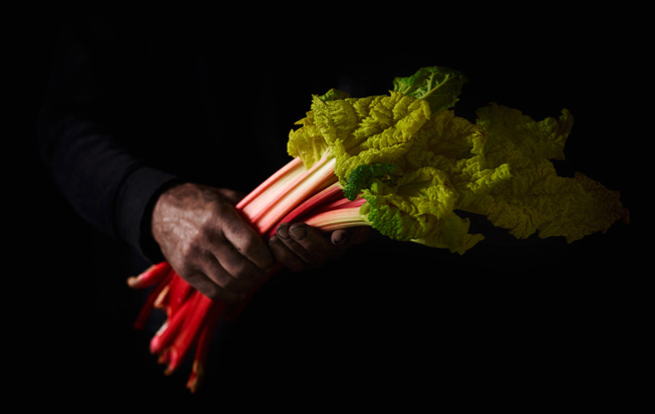 Our Rhubarb is forced (grown in the absence of light) to deliver the sweet and tender bright pink stems that our customers love. We harvest forced rhubarb from March to July and again in September. Please click the image for some recipe ideas. Our Asparagus is hand-harvested and hydro-cooled down to 2° C within the hour. This ensures that it retains maximum freshness and flavour. We harvest asparagus from March to July, and September to October. Please click the image for some recipe ideas. 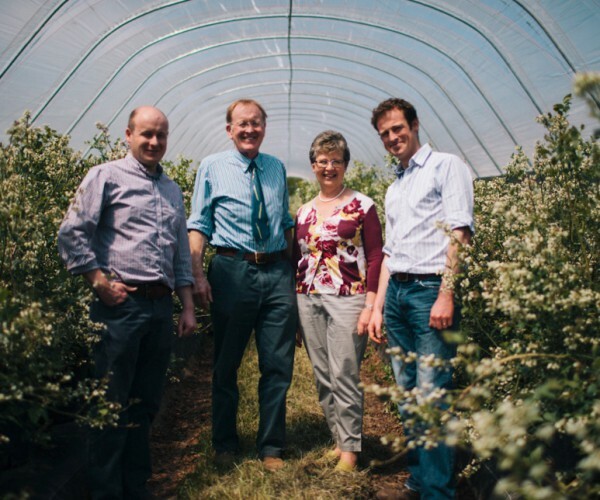 We grow a range of blueberry varieties across our sheltered valley to ensure the best tasting fruit is available from June to October. All our fruit is hand-picked, chilled and packed on the same day. Please click the image for some recipe ideas. We supply wholesalers locally and countrywide. Local produce is the freshest the tastiest in the world. Eating British will help conserve the landscape, cut down on food miles and support your local economy. The UK’s climate allows our crops to develop slowly, producing a full, sweet flavour, and great texture. We are the guardians of our landscape. We manage the land, and help to reduce global warming emissions; our produce doesn’t have to be flown or shipped across the world. 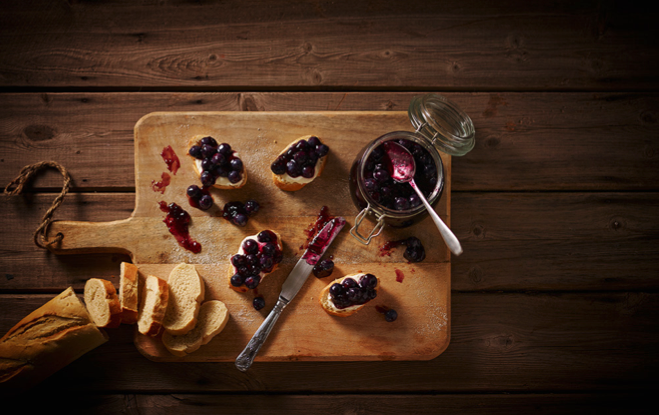 Blueberries are a well-known superfood. Lesser-known are the benefits of eating asparagus. High in Vitamin A, folic acid and dietary fibre (all of which are thought to help fight cancer), asparagus is a superfood champion. It is high in protein, cholesterol-free and low in fat, and contains high levels of potassium (good for controlling blood pressure). By choosing to buy British, you’ll be supporting local businesses and the greater UK economy, which, in turn, provides jobs and revenue, improving the standard of living for local people.